One of our most favorite summer outings is going to the Fair! We’ve been going to the Del Mar (San Diego) Fair for many years with our besties – the T family – since 2010! Can you believe it?! 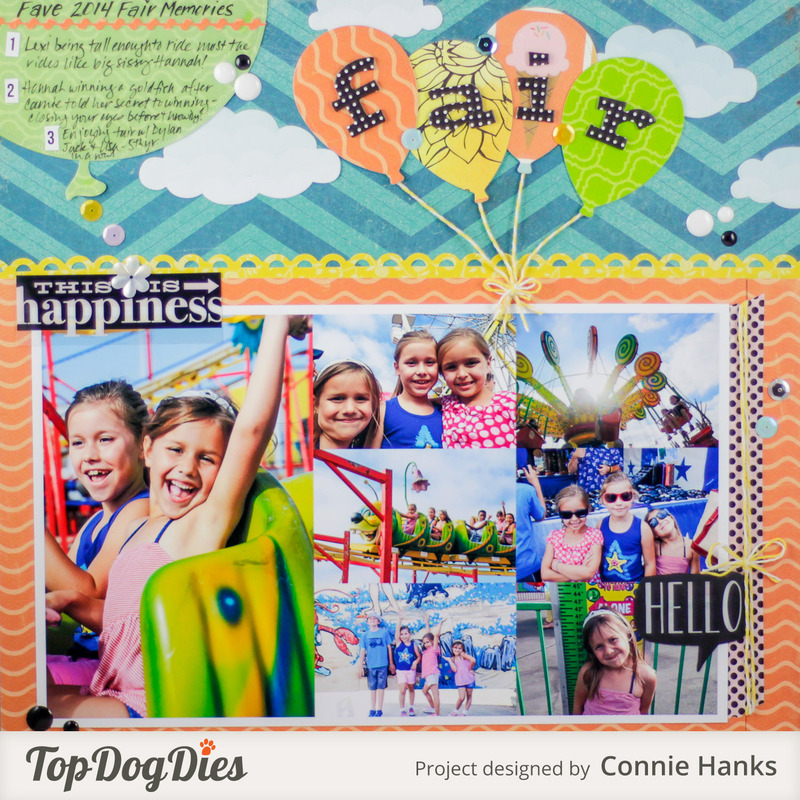 Time flies, and I have tons of photos from every year, but I decided to focus on summer 2014 for this layout. It was quite a monumental year as my baby girl was finally able to ride so many of the rides with her sister and BFF, Super-D! 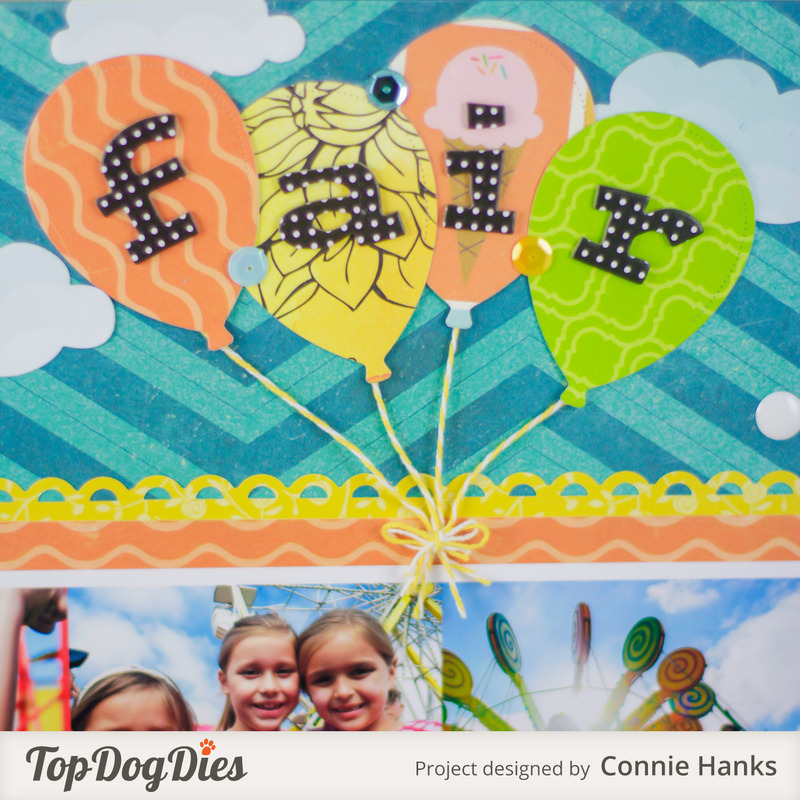 I used the Top Dog Dies Balloon Die Set to create the balloons for my page title, as well as the large balloon for my journaling! The set has some smaller balloons too. I love all the sizes and variations! I also used the clouds from the Hot Air Balloon Set. Also, notice the detailing going across the large balloon with journaling? 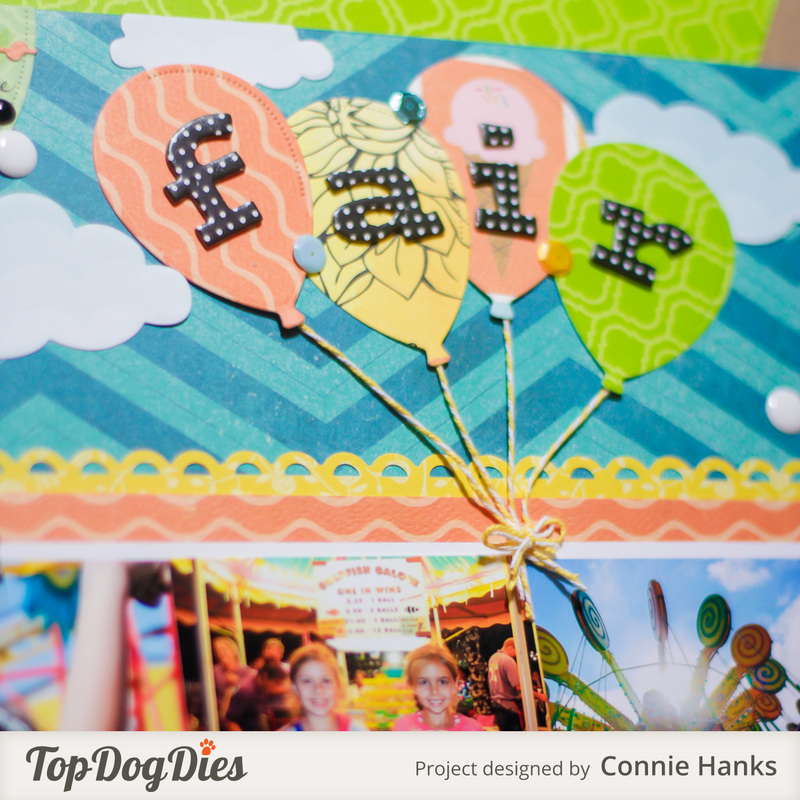 That’s using another new Top Dog Dies die – the Borders #1 set. I loved making these fun details for this layout! What are some of your favorite summer memories? I’d love to hear about them in the comments! 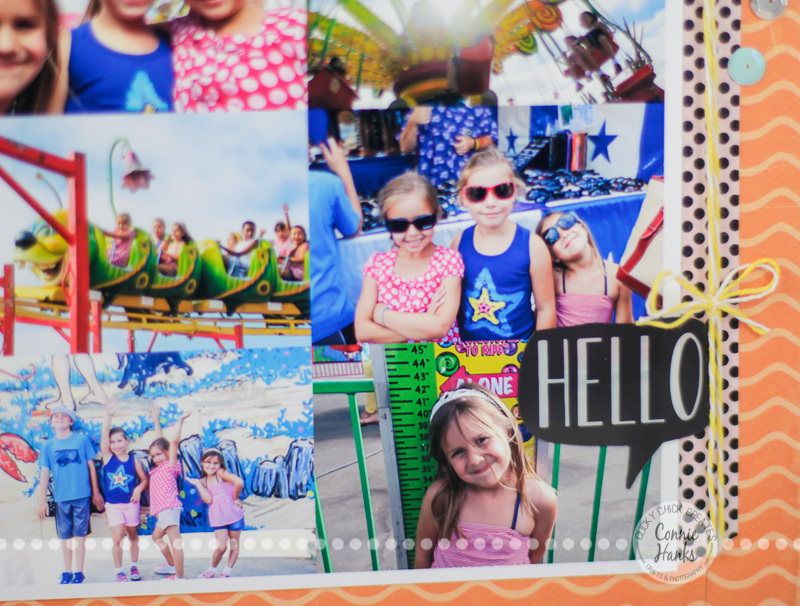 Be sure to document them – whether in a scrapbook layout, a journal, or written on the back of photos! Time flies and you’ll forget those little details way too soon! Be sure to continue the Make It Monday circle. My sweet friend Kelli at Scrapbook Love is sharing one of her favorite formulas: old school photos + list journaling = easy scrapbook pages! She’s a wizard at finding new uses for old supplies, so be sure to take a look at what she has to say! I know you won’t be disappointed! 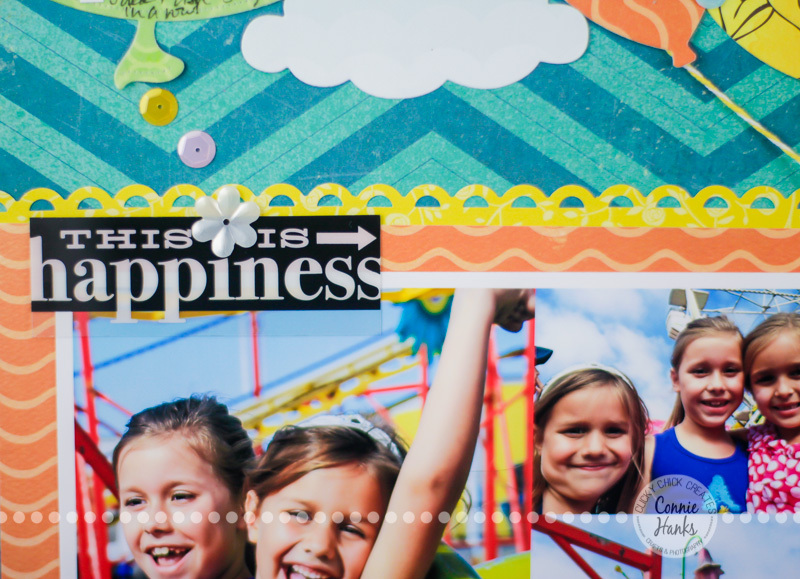 Oh, and don’t forget to check out True Scrap PlannerLove! I’ll be sharing more in a few days… if you’re at all interested in jumping into the planner craze, then you really can’t miss this event! September 19th, six instructors, live classes, all from the comfort of your own home! I’ve been a participant of many True Scrap events and I am beyond ecstatic to be teaching this round! The online chats during the class are fabulous – super friendly, like-minded, crafty girls and awesome topics. You’ll feel right at home and feel like you’ve found your tribe! Join us! Registration opens soon, so get on the Early Bird list – it’s the only way to lock in the lowest price possible! Click here to find out more! PS. 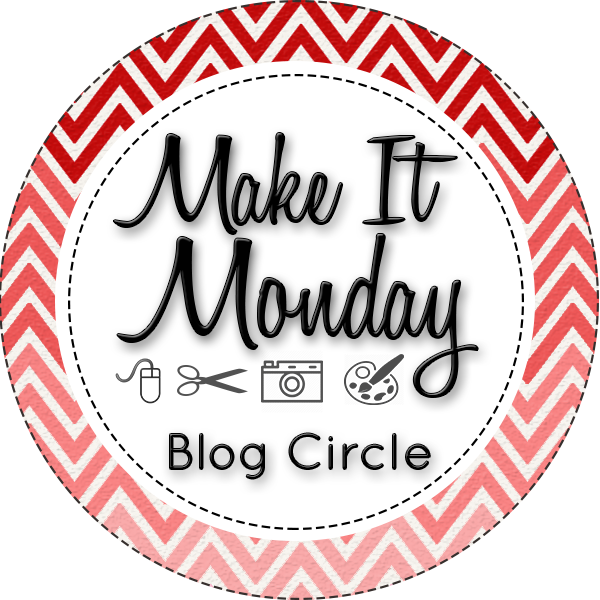 Sometimes I really do feel in synch with Simon Says Stamp Monday Challenge! Today’s challenge is Citrus with a Twist – perfect for the color choices on this page! Thanks Libby! I felt so rusty – haven’t done a layout since May! Gah! I can’t wait to show my girls 💕 as they’ve been asking for more scrapbook pages! Thanks for the love! What a fantastic page! Inspires me to grab my scrapbooking cart and get back at it! Thanks so much! It had been a few months since I made a page – felt rusty but loved making this for and of my girls!